Click here if you are shipping outside the US. Click here for information on ordering by phone, fax, or mail. Click here for information on shipping. One bottle of 180 capsules. This is our classic Chinese Bitters formula, but slightly stronger and in capsule form: ideal for people who want to take the Chinese Bitters tincture but find its taste unpleasant, or who are not allowed to consume alcohol for religious or dietary reasons. Take between 1 and 3 capsules per day. 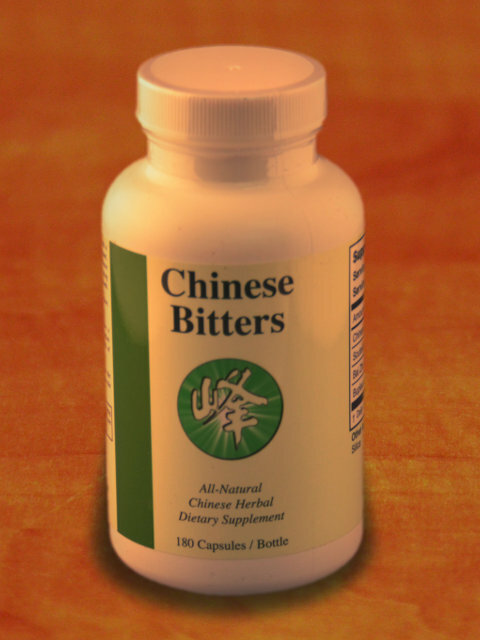 Concentrated Chinese herbal super-foods in an easy-to-use powder form. Just add a teaspoonful daily to water, juice or smoothies to add extra nutrition and energy to your day. 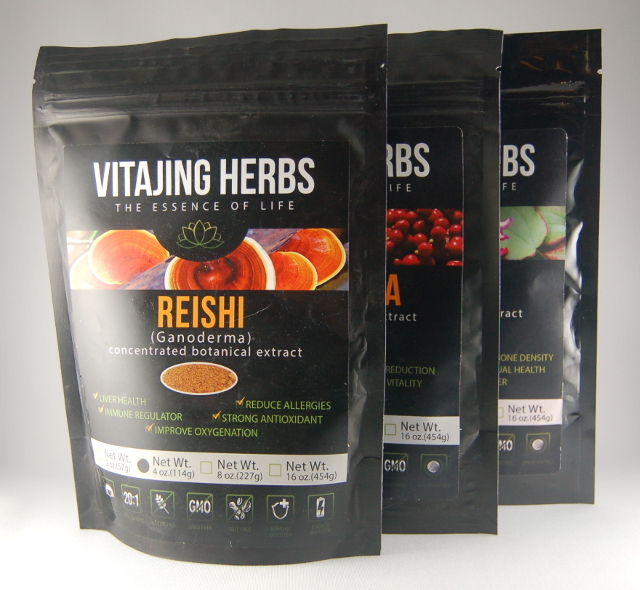 The herbs have been carefully selected for potency and purity and have never been exposed to toxic chemicals or GMOs. They contain no fillers, wheat, yeast, gluten, corn, nuts, dairy, soy, eggs, preservatives, artificial colours, fish or shellfish, or any animal by-products. The herbs remain as nature intended, delivering you the maximum nutritional benefit with minimum work on your part. Simply add ½-1 teaspoon to water, juices, smoothies or your favourite food dish. Black Cumin: One of the most ancient herbal remedies, black cumin seeds have been used in Middle Eastern folk medicine for over 2,000 years. It is one of the most revered medicinal seeds in history, often going by the name "The Blessed Seed". Its major therapeutic properties are thought to come from its major bioactive component, thymoquinone. It has been widely used for its tonic, diuretic, digestive, appetite stimulant, analgesic, anti-bacterial, anti-viral, anti-fungal, and anti-parasitic properties. It stimulates the body's energy and helps recovery from fatigue. It is also believed to enhance memory, attention, and cognition. It "harmonizes" the immune system, boosting it when weak and balancing it when it is over-active. It is also an abundant source of fatty acids, and so is protective of the nervous system. An excellent digestive aid, it can be used to relieve gas and bloating, improve peristalsis and elimination, and protect the gut. Click here to see a list of scientific studies on the health benefits of black cumin. Reishi: Reishi mushrooms are revered in China and have been used in Traditional Chinese Medicine for thousands of years. Known as "mushrooms of immortality", reishi mushrooms are believed to boost the immune system and improve your mood. Used by Chinese royalty in ancient times, Reishi mushrooms are increasingly popular in western society because of their many health benefits. Even more dramatic health effects are suggested by some scientific studies (Pharmacological Reports, 2010 Jan-Feb;62(1):150-63 and Food and Chemical Toxicology, 2013 Feb;52:171-5), although this research should be still be considered preliminary. Available in both regular and "broken spore" varieties. Schizandra: The Schizandra berry is also known as Wu Wei Zi, which translates to "five flavour berry", meaning it contains sweet, sour, bitter, salty, and pungent flavours all at the same time. These 5 flavours are indicators that schizandra is a very balanced herb, providing strength and energy to all your major organs. As an "adaptogenic" herb, schizandra is believed to boost the immune system, fight the effects of aging, protect the liver, and reduce fatigue. As a berry, it also possesses anti-oxidant and anti-inflammatory properties. Siberian Ginseng: known as an "adaptogen", Siberian ginseng is used in Traditional Chinese Medicine to reduce fatigue, and increase stamina and resilience. The harsher climate of Siberia is believed to give Siberian ginseng a "cooling" quality which is less likely to produce Heat in the body with long-term use. It is considered ideal for people who feel run-down or lacking in energy, hence its widespread popularity. One bottle of Pau D'Arco capsules. Pau D'Arco is a tree bark from Brazil. It is used in a wide variety of folk remedies. When compared to purchasing raw Taheebo Tea in the bulk bags, the Pau D'Arco capsules are more convenient, although the quantity of herb is lower. 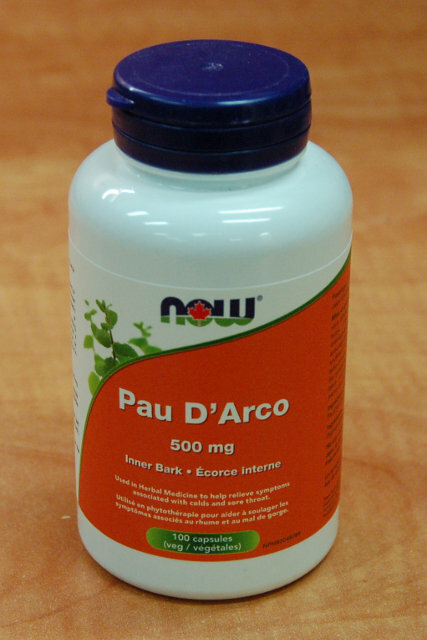 Each capsule contains 500mg of Pau D'Arco bark, and there are 100 capsules in a bottle. Health Canada NPN80048789. 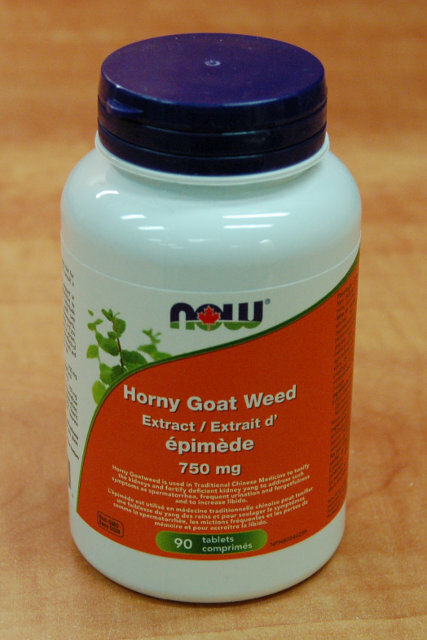 Epimedium is also known as Yin Yang Huo, which translates to "horny goat weed". It earned the name because it was said in Ancient China that male goats who ate it would make more frequent amorous advances on their female counterparts. It is still used as an aphrodisiac and a "yang tonic" in China, where it is believed to strengthen the kidneys and adrenal glands. 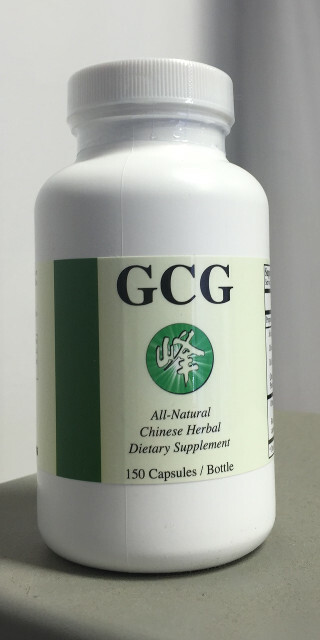 Each bottle contains 90 tablets, each containing 750mg of Epimedium.